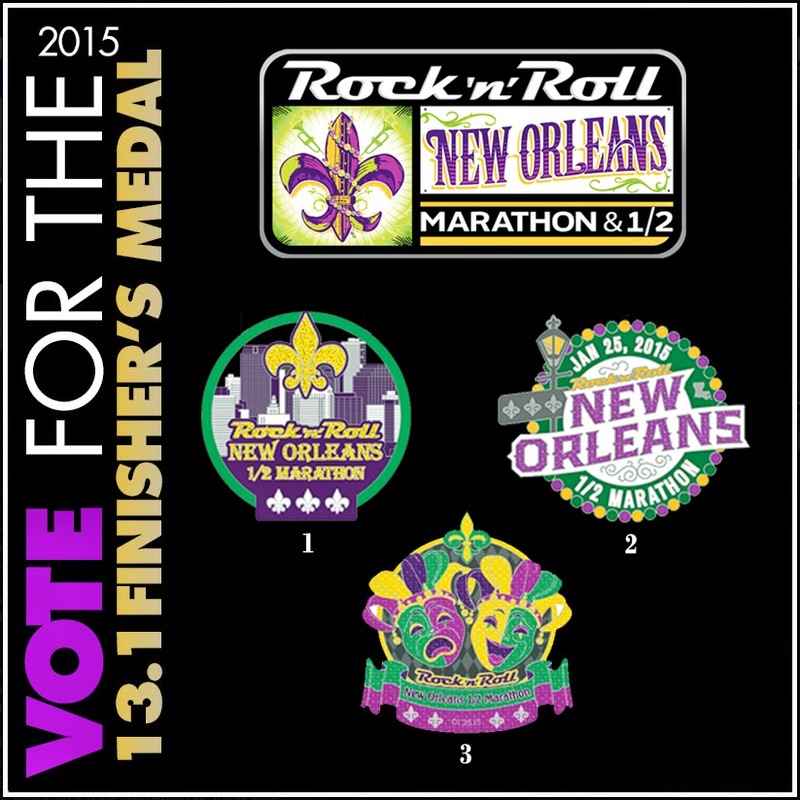 A couple weeks ago, the Rock 'n' Roll New Orleans Marathon & Half Marathon solicited designs from fans for the 2015 finisher medal. As of a few moments ago, they posted the top three finalists to their Facebook page and voting is open for you to decide what the bling will look like on race day, January 25th! You can see the three finalists by clicking on the image to the left, but you must click HERE to be able to vote for the design of your choice before September 11th. The winning design will be announced through the Rock 'n' Roll New Orleans Facebook page on September 12th, and of course I'll share it here on NOLArunner.com as soon as it's available. Now's my chance to lobby for my favorite design. Honestly, while I like all of them, I LOVE design number 2 with the Mardi Gras bead border and iconic street lamp with wrought-iron embellishments. Comment below with which one you're voting for and why! Don't forget to CLICK HERE and vote now!